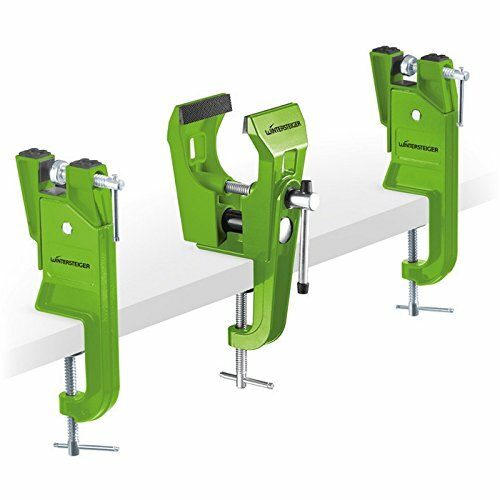 The ski vise racing is designed for tuning front-side carving and racing skis. The 70mm rubber-lined holding surface opens from 28mm to 90mm. Vise holds skis in two positions, flat for waxing and other base work and upright for perfecting that all important edge. For use in the back-shop, at home or at the hill with a portable tuning table. View More In Alpine Touring. If you have any questions about this product by Wintersteiger, contact us by completing and submitting the form below. If you are looking for a specif part number, please include it with your message.